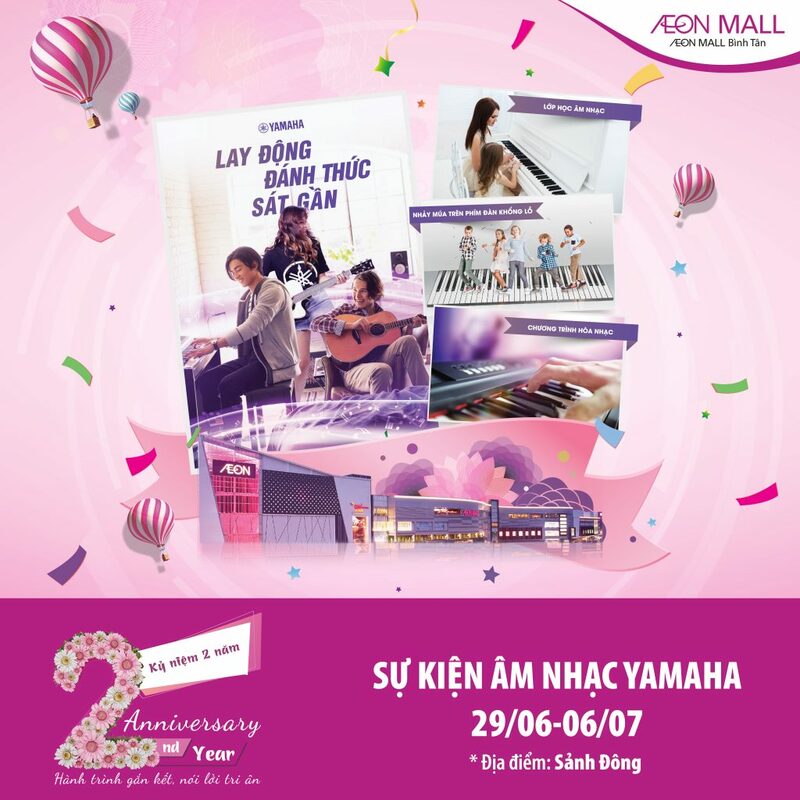 1st July is the milestone to mark 2 years that AEON MALL Binh Tan says “Hi” to all Vietnamese customers. To celebrate this special occasion and express our thanks to customers, from 22 June to 29 July, AEON MALL Binh Tan prepares many special programs for customers. From June 22 to 17:00, July 17, 2018, with the bill worth from 1.500.000vnd at AEON MALL Binh Tan and AEON Binh Tan super market, customers can join the Lucky draw programs, get the chance to win a free Japan tour for 2 people and many prizes from OKIA massage chair to a Yamaha speaker set. The total prizes are worth more than 200.000.000vnd. Moreover, with the bill worth from 2.500.000vnd and higher, customers will have chance to receive a shopping voucher worth 20.000VND – 50.000 VND of super market or a fashionable helmet. Customers shall live in a gracious music atmosphere, enjoy music performance and join the music class from 29 June – 6 July at East Court. 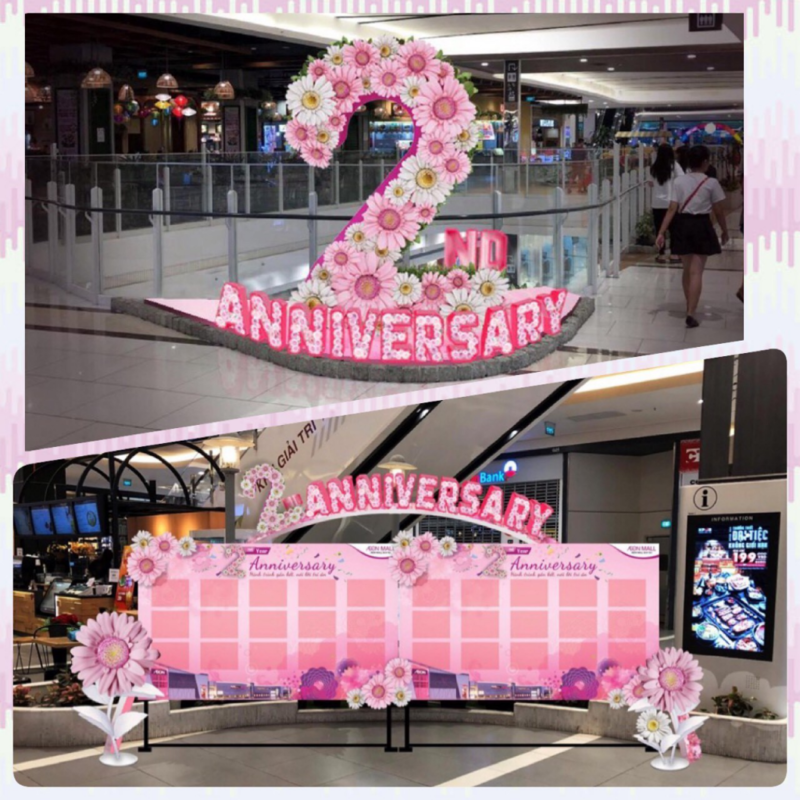 With customers who like check–in and take pretty pictures, you can come to the decoration booths with Gerbera flower at AEON MALL Binh Tan.